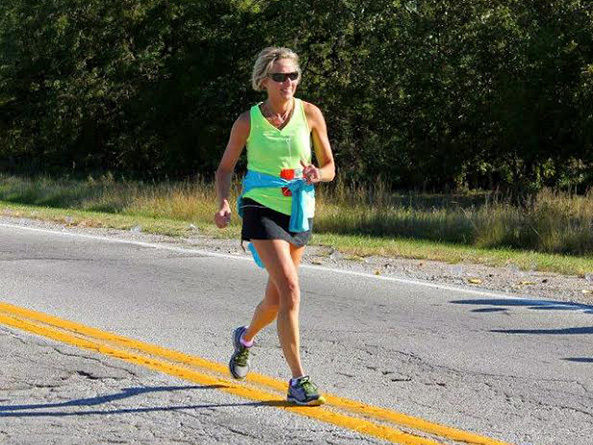 Above: An avid runner, Sen. Lynne Walz competed in the 2014 Omaha Marathon. If not for a fateful phone call from a former state senator, Sen. Lynne Walz of Fremont might have gone down a very different path. She was 14 years into a successful career as a realtor when she felt an urge to try something new. In a life filled with a broad variety of experiences, Walz had settled on her next adventure; she would attend seminary and join the ministry. When the suggestion came to run for the Legislature, she was caught completely off guard. Walz did not take lightly the decision to run. She consulted with someone she’s known since she was 12 — former state senator, Sen. Ray Janssen. She knew he would be totally honest with her and would have no problem telling her if it was a terrible idea. Instead, he applauded. He encouraged her to rely on her years working with people with developmental disabilities, teaching fourth- and fifth-grade students and helping families turn houses into homes. She’s focused on bringing jobs to Nebraska that will provide more opportunities for the people who have expressed concerns about becoming self-reliant and taking care of their families. One important step, Walz says, is changing the stigma associated with people receiving government assistance. Changing the way students learn is a primary focus of the former teacher. She believes a renewed focus on practical life skills like budgeting and family life skills would better prepare young people for their futures. Walz also advocates for more programs and resources to assist young people diagnosed with autism and other developmental disabilities. When she’s not serving in Lincoln, you can find Walz cheering on daughter Emma at swim meets or cooking and entertaining at home with her husband Chris. Her son Adam lives in Kansas City with his wife, and son Patrick is stationed at Fort Campbell, Kentucky with his wife and two children. The transition to citizen senator has been a relatively smooth process for Walz. She’s adjusting to a new commute to Lincoln and hearing from constituents throughout her district. Walz loves meeting new people and hearing their stories, even if that means spending more time in the produce aisle.